May 18th, 2009 Posted in green business, recycle, save money | 6821 Comment »http%3A%2F%2Fwww.ecojoes.com%2Finterview-with-rapid-repair-ceo%2FInterview+with+Rapid+Repair+CEO2009-05-18+16%3A10%3A47ecojoehttp%3A%2F%2Fwww.ecojoes.com%2F%3Fp%3D682 Make sure you like EcoJoes on Facebook to stay updated on green ways to save money and help the environment. Just click the "like" button below. Muchas gracias! 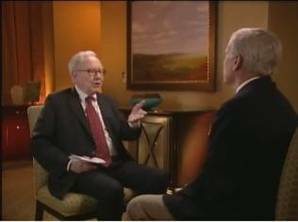 Note: Since it was a phone interview and I didn’t have a recorder, his answers (and my questions) are not exact quotes, but are pretty close to what was actually said. Joe (Me): So, what does your company repair? January 20th, 2009 Posted in paper, projects, recycle | 4843 Comments »http%3A%2F%2Fwww.ecojoes.com%2Fhomemade-paper-ultimate-paper-recycling%2FHomemade+Paper+-+Ultimate+Paper+Recycling2009-01-20+20%3A38%3A03ecojoehttp%3A%2F%2Fwww.ecojoes.com%2F%3Fp%3D484 Make sure you like EcoJoes on Facebook to stay updated on green ways to save money and help the environment. Just click the "like" button below. Muchas gracias! “Paper… pure paper!” I think that crazy guy in the epic film “Waterworld” said it best when he uttered those immortal lines about paper. But how can the people in “Waterworld” make paper when there ain’t no trees? Easy. They recycle paper, and now you can to. 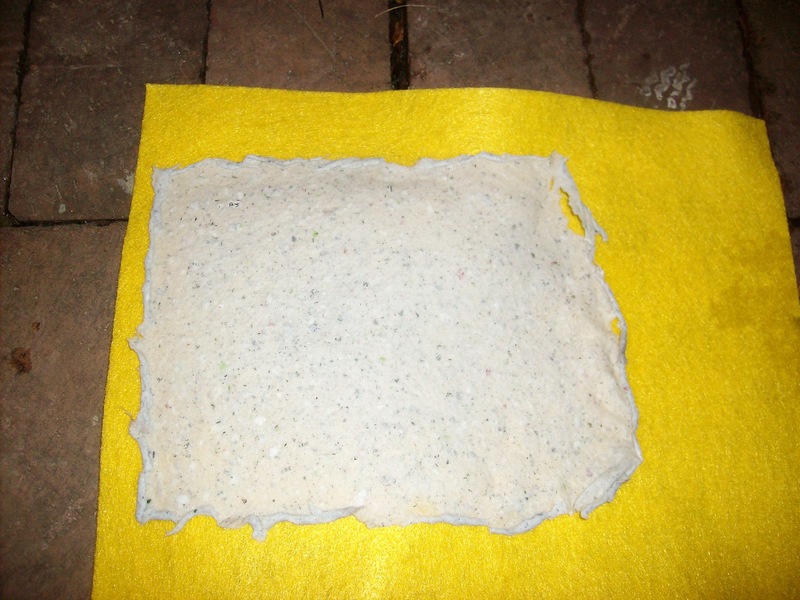 Here’s how to recycle paper into homemade paper. 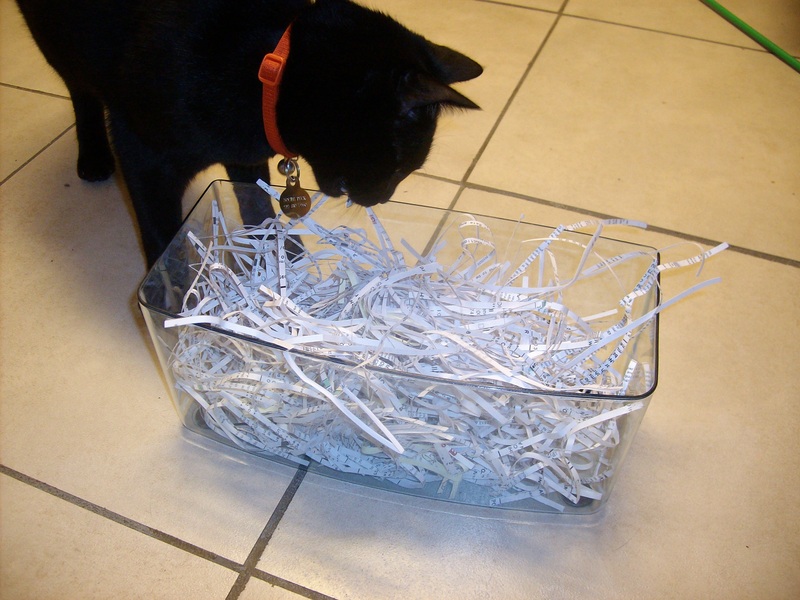 First, you gots to make your paper frame. 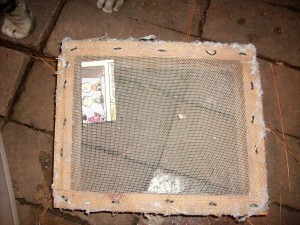 Use some leftover wood and make a rectangle; whatever size this frame is is the size your homemade paper shall be. Staple some old window screen across the frame, stretching it tightly. There, your frame be done. 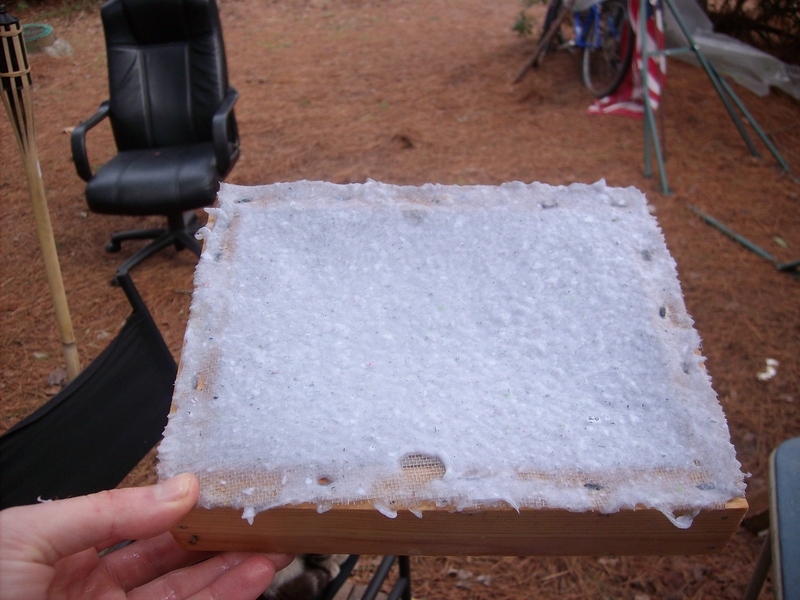 Now you’re ready to make you some homemade paper, hot dang! toilet paper (gently used)….. just kidding on that one!! Remember, whatever you put in will affect the color and texture of your finished paper, so for the love of Pete, be careful in selecting your ingredients for your homemade paper. Tear up the paper into lil’ pieces. Put the torn-up paper into a blender, filling it about halfway. Fill the rest of the blender with warm water. 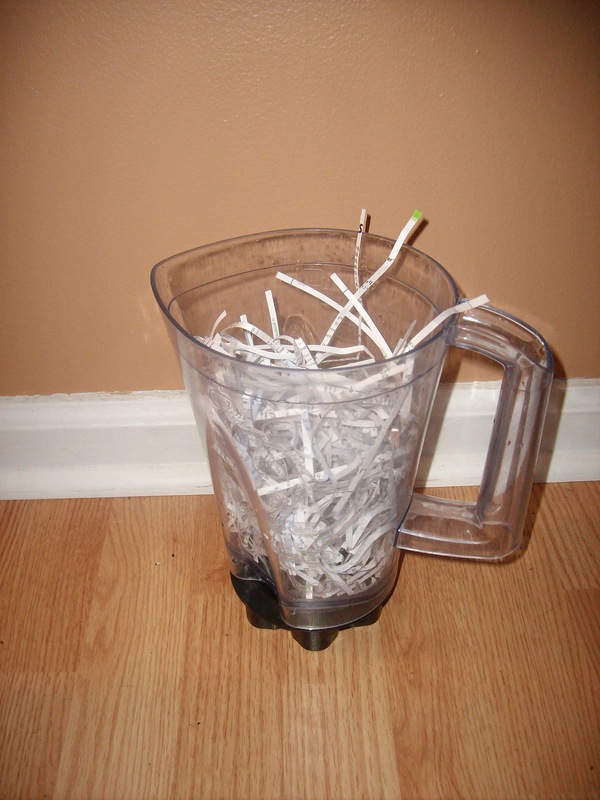 Blend the mess out of that paper, starting with short burts, and finishing with a 20-second blend that purees the paper into a pulpy soup. Do this about three times, each time pouring the blended paper soup into a basin or tote. 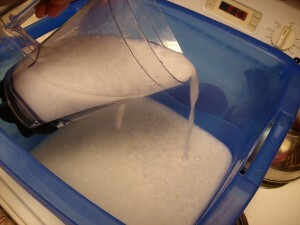 Afterward, put in some more warm water, filling the basin about halfway. Add about two tablespoons of corn starch, too. Stir the pulp around, then dip your wood frame into the pulp all the way to the bottom. Slowly raise it up, keeping it level. Your screen should be covered with pulp now. Let it dry somewhere. 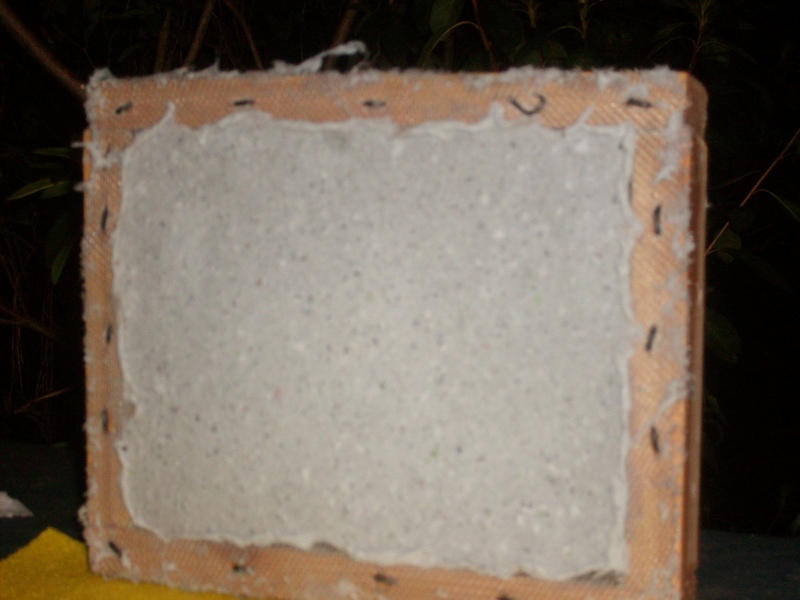 Once the frame stops dripping, sort of peel the paper around the edges. Next, gently peel the very wet paper away from the frame. Slap that bad boy on some felt. Fun fact: I got my felt for 20 cents, and it’s made from recycled plastic. Ta-dow. Use a sponge and try to squish excess water out. 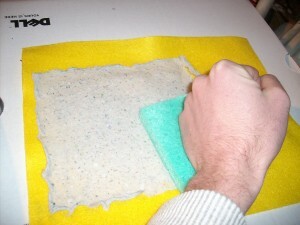 Once you’ve done that, let it dry on the felt. Let all the paper completely dry on the felt or some newspaper. Voila, recycling old useless paper into new homemade paper is just that easy. If you want to get fancy (and these days, who doesn’t? ), try embedding some crazy mess in your paper (feathers, leaves, pictures cut out of a newspaper). Your friends will be TOO jealous of your customized paper, maybe even jealous enough… to kill? January 15th, 2009 Posted in electric, energy conservation, recycle | 479No Comments »http%3A%2F%2Fwww.ecojoes.com%2Fwhere-to-recycle-old-compact-fluorescent-light-bulbs%2FWhere+to+Recycle+Old+Compact+Fluorescent+Light+Bulbs2009-01-16+03%3A06%3A40ecojoehttp%3A%2F%2Fwww.ecojoes.com%2F%3Fp%3D479 Make sure you like EcoJoes on Facebook to stay updated on green ways to save money and help the environment. Just click the "like" button below. Muchas gracias! You may have heard about these new-fangled CFL bulbs. They last up to ten times longer than incandescent light bulbs, use only about 25% the energy (so they cost one-fourth the amount of money to run), and they produce 90% less heat (waste) than an incandescent bulb, so you get more light per watt! But I digress. 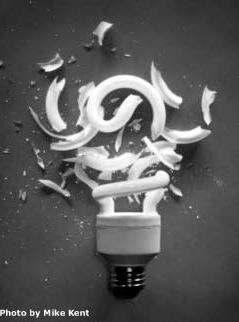 When these CFL bulbs eventually die, you can’t just throw them away, since they have some mercury in them. You have to take them to special CFL bulb collection places. I had to do this recently, and found these easy places to safely get rid o’ CFLs. * If all those fail, check out Earth911, they should be able to help. Good luck recycling them CFLs. Truly, you are on the path to being an eco-hero. November 18th, 2008 Posted in green business, recycle, reusing | 421No Comments »http%3A%2F%2Fwww.ecojoes.com%2Fhow-to-reuse-your-old-shoes%2FHow+To+Reuse+Your+Old+Shoes2008-11-19+03%3A43%3A07ecojoehttp%3A%2F%2Fwww.ecojoes.com%2F%3Fp%3D421 Make sure you like EcoJoes on Facebook to stay updated on green ways to save money and help the environment. Just click the "like" button below. Muchas gracias! If you’re like me, you probably have at least one really old pair of shoes lying around somewhere. They’re too old/holey/torn up to wear, and yet you cannot find it in your heart to throw them away, discarding all those hours of hard work from child labor in the Philippines. But hearken, there’s a way to recycle your old sneakers! Good ol’ Nike has set up a shoe recycling program, wherein you turn in your old shoes and they ship them to a processing plant. At the plant, they separate the old shoes into 3 different materials (rubber, foam, and plastic) and grind them up. They’ve recycled more than 21 million pairs of shoes since 1990! Once they’re ground up, they can be turned into running tracks, new shoes, basketball courts, or even new clothes. That’s a lot better than just throwing away your old shoes to just sit in a landfill for centuries. So take a look around your house, find some old sneakers, find the nearest dropoff location, and recycle your old shoes. May 16th, 2008 Posted in green business, recycle, reusing | 1835 Comments »http%3A%2F%2Fwww.ecojoes.com%2Fgreenworks-reuse-office-furniture-creates-jobs-less-waste%2FGreenWorks+-+Reuse+Office+Furniture%2C+Creates+Jobs%2C+Less+Waste2008-05-16+14%3A41%3A10ecojoehttp%3A%2F%2Fwww.ecojoes.com%2Fgreenworks-reuse-office-furniture-creates-jobs-less-waste%2F Make sure you like EcoJoes on Facebook to stay updated on green ways to save money and help the environment. Just click the "like" button below. Muchas gracias! Dang, I just found out about a company in England called GreenWorks that sounds great. What happens is people or companies can donate old office or school furniture (desks, chairs, tables) and GreenWorks will fix them up. Once the used-but-looking-like-new furniture is ready, it will either be sold (cheaply) to offices or charities (for a discount), or donated to an “orphanage in Romania and a range of NGO projects in Benin, Gambia and Ghana”. So if you live in England and are thinking about getting rid of some used office furniture, por favor donate it to them. You’ll be happy knowing that your old furniture didn’t go to a landfill, and is being reused somewhere by some people who need it. Also, does anyone know if something like GreenWorks exists in the U.S.? Dígame, because if not, I might have to start a company like this meself (since I am already an “expert” on recycling household junk into useful mess). March 6th, 2008 Posted in eco footprint, energy conservation, green construction, green living, off the grid, recycle, reusing, save money, solar power | 1502 Comments »http%3A%2F%2Fwww.ecojoes.com%2Fearthships-simply-jawsome-sustainable-homes%2FEarthships%3A+Simply+Jawsome2008-03-06+18%3A01%3A08ecojoehttp%3A%2F%2Fwww.ecojoes.com%2Fearthships-simply-jawsome-sustainable-homes%2F Make sure you like EcoJoes on Facebook to stay updated on green ways to save money and help the environment. Just click the "like" button below. Muchas gracias! Earthships are houses made with discarded tires, bottles, and cans, put together with lots of dirt. Many of them are self-sufficient, creating their own energy, and capturing their own rain-water. Since they’re made from reused/free materials, and supply their own electricity, heating, and water, they help conserve natural resources while also saving chunks of money. I’m down for anything that helps the environment AND saves me some dinero. But I digress. I now present to you, courtesy of Earthship.net, “Earthships 101”. February 12th, 2008 Posted in food, green business, paper, recycle, styrofoam | 1217 Comments »http%3A%2F%2Fwww.ecojoes.com%2Fstyrofoam-cups-vs-paper-cups%2FPaper+Cups+Versus+Styrofoam+Cups%3A+Surprise+Winner2008-02-12+17%3A20%3A44ecojoehttp%3A%2F%2Fwww.ecojoes.com%2Fstyrofoam-cups-vs-paper-cups%2F Make sure you like EcoJoes on Facebook to stay updated on green ways to save money and help the environment. Just click the "like" button below. Muchas gracias! This is on the front page of Care2.com, por favor go and vote for it! Lil’ story; there’s a coffee place near here called Cup A Joe, which has some good coffee and a really nice atmosphere that reminds me of good ol’ Asheville. I’ve been there many-a-time, since they have two locations around NC State. It turns out that when Cup A Joe used paper cups, “almost 100% of [their] customers demand[ed] the added cardboard sleeve”, which the styrofoam cups do not require. This was a surprise to me. There you have it. A good eco-friendly reason to (if you must use disposable cups) use styrofoam cups instead of paper cups. It sounded crazy to me at first, but after reading about it, I realized it was crazy like a fox.